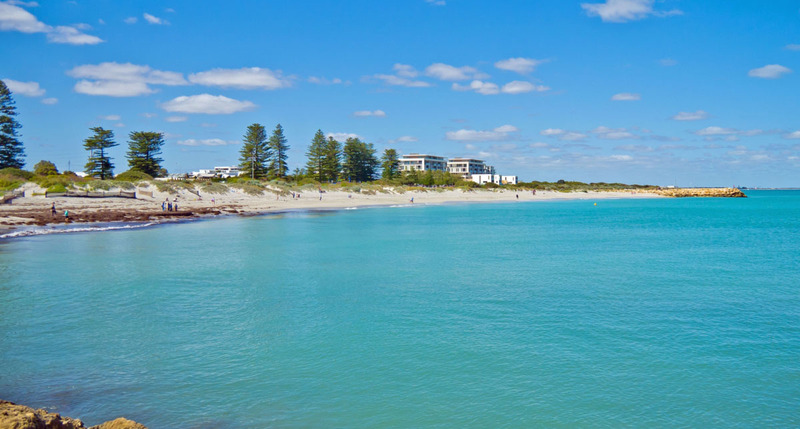 For our day in Exmouth we had a free day, though all of us opted to join in the guided activity – head out to Turquoise Bay for a day relaxing in the sun and surf. As expected the scenery was once again sublime. 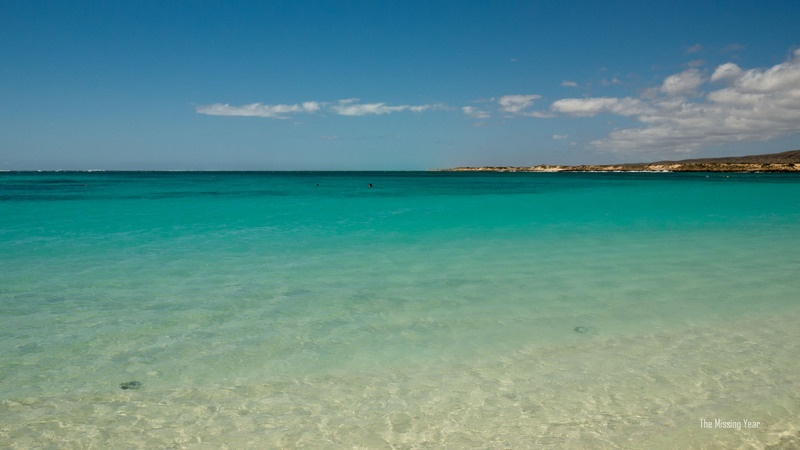 We had spent the night in the small coastal town of Coral Bay. 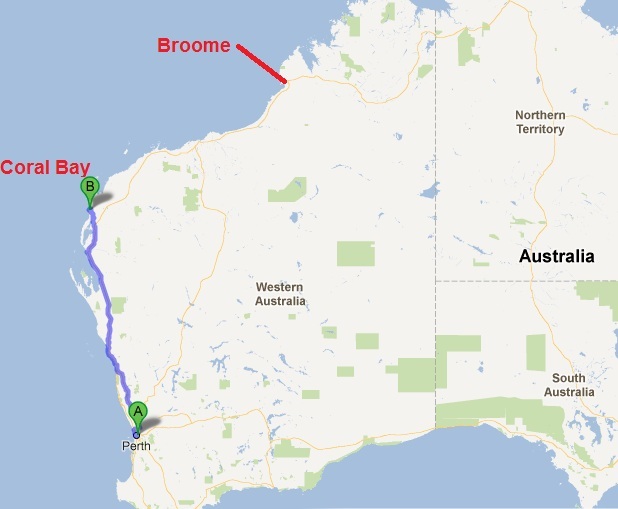 We had traveled over 1200km but were not even 1/2 the way to Broome. But the long distance driving would have to wait for a few days now – Coral Bay and nearby Exmouth were our destinations for the next 3 nights. I don’t know if place names get much sillier than ‘Monkey Mia’. It just sounds dumb. And very touristy. The actual history behind the name isn’t fully know. It was indeed a very touristy place (existing really for one big reason, which I’ll get to), but also a very pretty place. And when you are up before 6am, it’s also a very quiet place. After an early breakfast we set out for the day, this time making the short drive to nearby Kalbarri National Park (Australia has a ton of National Parks!). Here we would be spending our entire morning hiking and exploring Kalbarri, notable for some nice gorges. It was proving to be another stellar weather day. Our first taste was the Z-Bend section of the Murchison Gorge…named because I guess it looks like a Z from above. 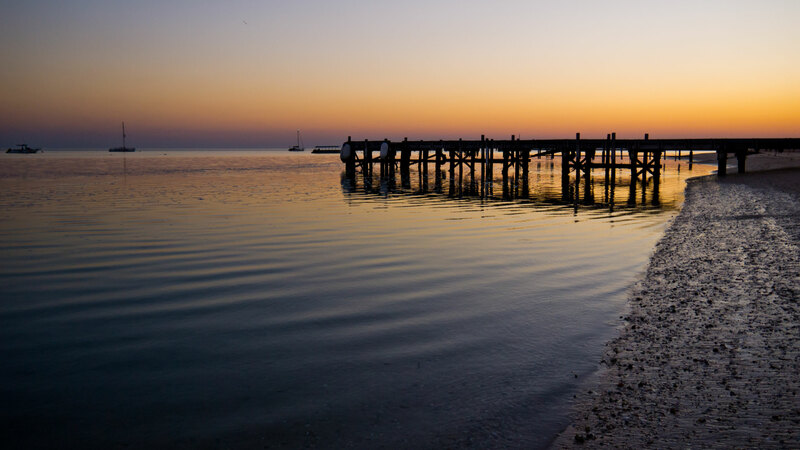 I debated back and forth quite a while on what to do in Western Australia. The problem with travelling the state is that, like most of Australia, is that is is massive, remote and often difficult to get around. I originally had just planned to see Perth and Fremantle in order to save my money for the East Coast. Once I got there and starting hearing about the West Coast, especially further north…my resolution broke and I decided to join a tour. And not just a short tour either, this would be a 14 day monstrosity covering 6,000km and seeing many of the highlights scattered across the vast expanse of Western Australia. To that effect I found myself on a sunny late-September morning boarding a small van and heading north. Our first destination was the sand dunes of Lancelin. For being the most remote, isolated large city in the world, Perth doesn’t feel like it. The population of ~1.75 Million likely has something to do with that – Perth isn’t small. It has all the usual amenities and conveniences of living in a large modern metropolis with a few surprises as well. Kings Park was most decidedly the best surprise. The next sunny day I was out and about in Fremantle again, this time hitting the beaches. To be honest, there wasn’t much more to Fremantle that I wanted to see, the city was somewhat of a disappointment. Many had mentioned it as a great place to stay and find work, relax in, etc. While I guess I could understand that to a certain extent, the denizens that took to Fremantle were hippies, yuppies and druggies, at least in my hostel (the highest rated one in the area) and surrounding area (the main part of Fremantle). Not to mention the hostel was a disaster and in rather squalid shape. I’m not entirely sure where the high reviews of the place came from. So in general, I was pretty exasperated with Freo. On the other hand, the beaches lived up to their billing as fantastic. Fremantle was my first stop on the West Coast of Australia. And it indeed is right on the coast, just steps from the ocean. The Indian Ocean! 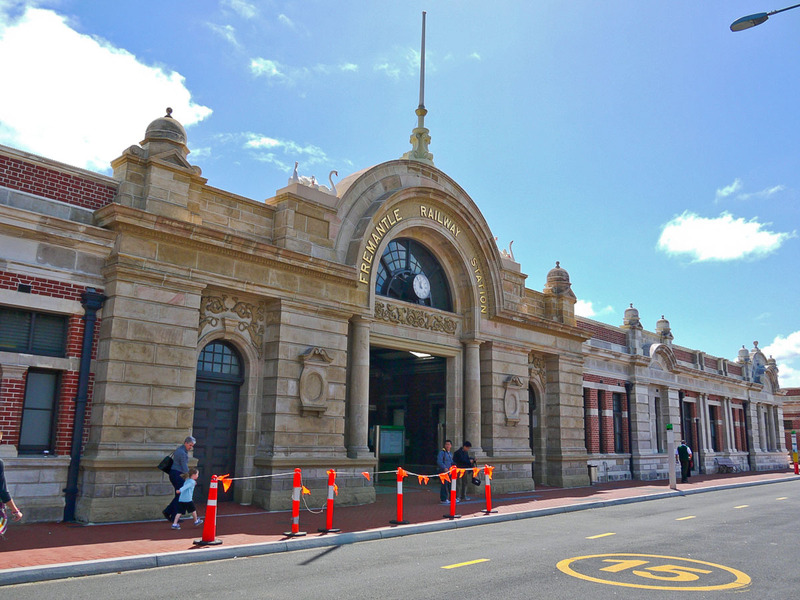 I departed from the lovely train station and began my wandering.